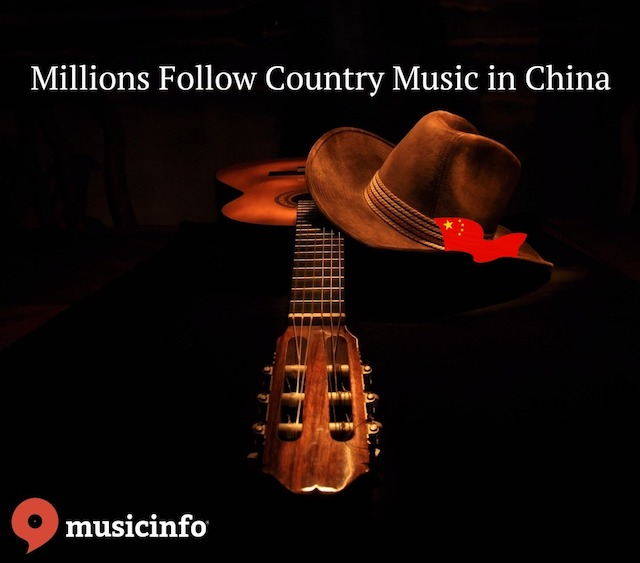 Millions Follow Country Music in China Country music has grown from the time of Jimmie Rodgers in Appalachia to the Tin Pan Alley in New York to the Street of Laredo. A spin on the country music joke, “What happens when you send your music to China?” You get your dog back, you get your truck back, you get your lover back and life is good. You may think life in China is backwards, but when country music ranks fourth according to the International Federation of the Phonographic Industry, a.k.a, ifpi, as the most listened to music you gotta think that the hardships of life ain’t much different in the land of the rising sun. Just look at these playlists: 2.9 million streams, 3.3 million streams and 4.3 million streams. Typically a male dominated cry, now the female vocalists have stolen the show and are melting audiences worldwide. Country music takes us to our roots. The reflection of the music industry in the USA with country music now falling sixth behind Latin music with a growing audience in China shows us that the world not as small it used to be; And the people of the world might just have as much in common with you as your neighbors. According to the Grizzlyrose, fans of country music are getting younger and more diverse. The world of music is drastically changing, no longer is rock number one being surpassed by total album consumption in the USA by R&B/Hip-hop in 2017 and now also by pop music last year. No longer is the day of “selling out,” a concern for the songwriter. No longer does the talented poet need to sell their soul to a corporate record company to have a chance at financial security or even fame. The tools we have today make managing your own career in music a possibility. Having an EPK -Electronic Press Kit-, presence on social media, a web page, videos on youtube, and digital music distribution are all essential for successful independent musicians and can be done mostly for free or very little cost. This checklist will help outline your needs. This is of course, all after the fact that your music has been written, recorded, performed, copyrighted, etc. Your songs are your babies, find a life for them and get them ready for the big world. You hold the reigns of your own future to be successful or become, “dust in the wind.” Failure only grips you by the scruff of your neck when you stop trying. It is your right to make your music heard. Musicinfo wants to help you, visit us and chat with a real live person! We are available from dawn to dusk to dawn let us be your spotlight to China. If you are unsure if your music is already in China you can look for it using our China Search app found on our homepage. Please signup to our newsletter!